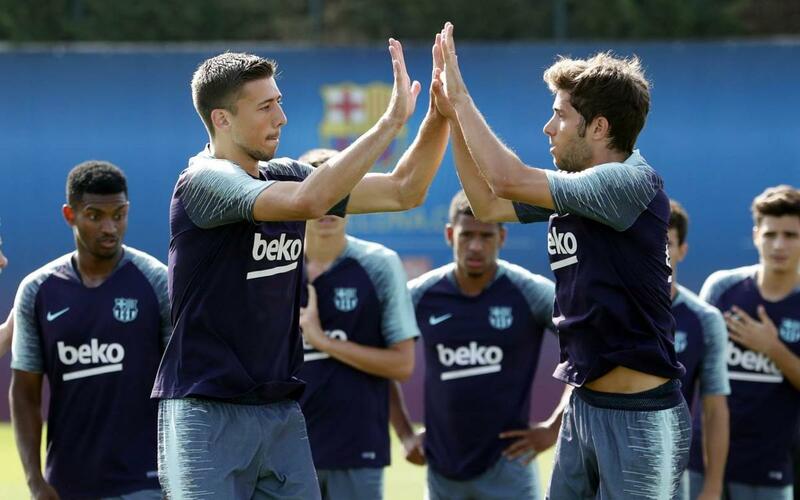 A new double training session at the Ciutat Esportiva has been completed. The players from the first team worked out on pitch seven of the Ciutat Esportiva Joan Gamper both in the morning and in the afternoon, as they continue preparing for the new season. During the earlier session, Mate, Miranda, Riqui Puig, Monchu, J. Cuenca, Ballou, McGuane and Sarsanedas from FC Barcelona B also participated, whilst they were joined by Riqui Puig later in the day. The team will return to work this Thursday at 9.30am CEST, in a closed training session which will be the sixth of the week and the only one of the day.